The Farmington Canal Heritage Trail is an 84-mile greenway that runs from New Haven, CT to Northampton, MA. 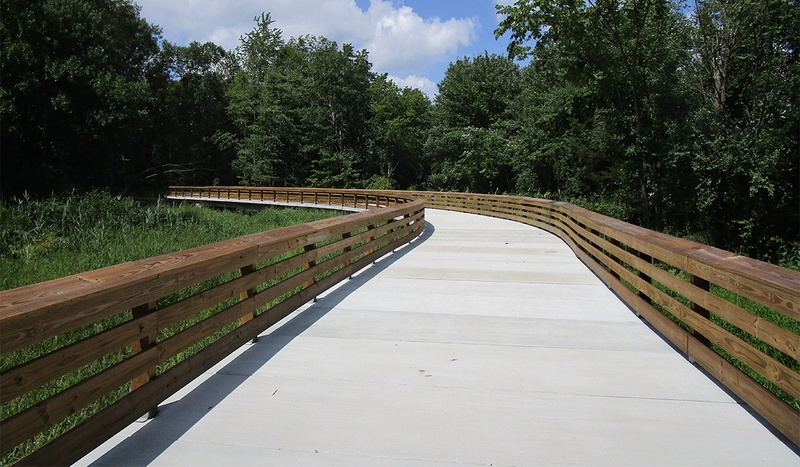 Originally built as a canal-adjacent rail line in the mid-1800s, the trail has been converted as a Rails-To-Trails project over the last three decades. In Cheshire, CT, a 16.1-mile portion of the trail was to be extended 0.66 miles northward from Cornwall Avenue to Main Street by the Connecticut Department of Transportation (CTDOT). In this section of the trail, the existing rail corridor was privately-owned and CTDOT needed to relocate the trail’s path to run through residential and commercial property. Certain trail sections located in the wetland areas of the 100-year floodplain were to be elevated. Also, since the responsibility of maintaining the trail would fall to the Town of Cheshire, CTDOT wanted to minimize those costs. Lastly, it was important for the crossings to be rated for heavy vehicles (H-15 or 30,000 lb. vehicle loading) since the Town would be using them to access other areas of the trail. 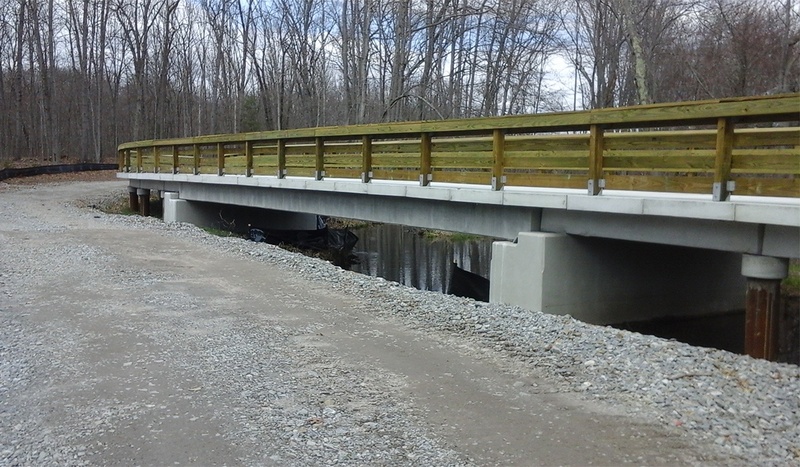 This project was one of the first trails CTDOT designed, but with the help of PermaTrak’s engineering team, CTDOT prepared bid documents specifying a precast concrete system that would meet the project’s requirements. “Even though this was a new type of project for us, they were very helpful and worked with us to develop a design that fit our needs,” said one CTDOT representative. Several features unique to PermaTrak made it an excellent fit for this project. 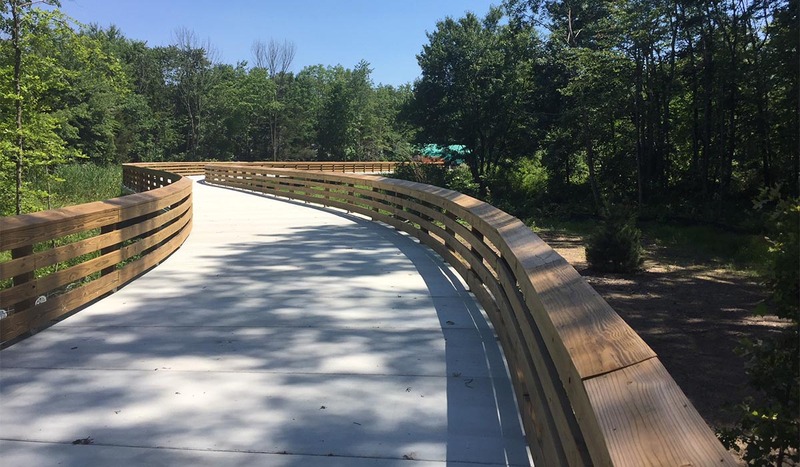 To route around right of ways and protect the area’s wetlands, CTDOT was able to incorporate curvature into the project’s design, and PermaTrak’s longer supporting beams allowed for larger spans between piles, minimizing disturbance to the area. The steel-driven pipe foundation paired with PermaTrak’s commercial boardwalk design allowed for the crossings to be classified for H-15 vehicles (30,000 lbs.). The boardwalks’ concrete surface would also survive flooding events and spring thaws without constant maintenance. 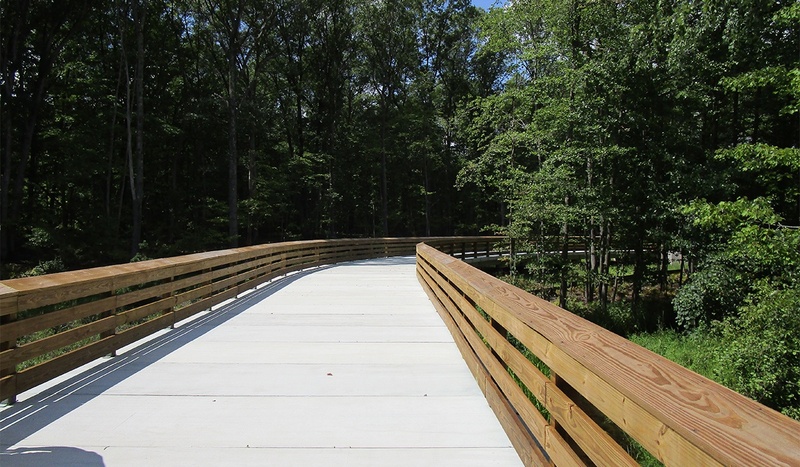 Boardwalk Length(s): 413 ft. and 441 ft.
Tread Width(s): 15 ft. 4 in.